Hello all! Hope your week has been fabulous! 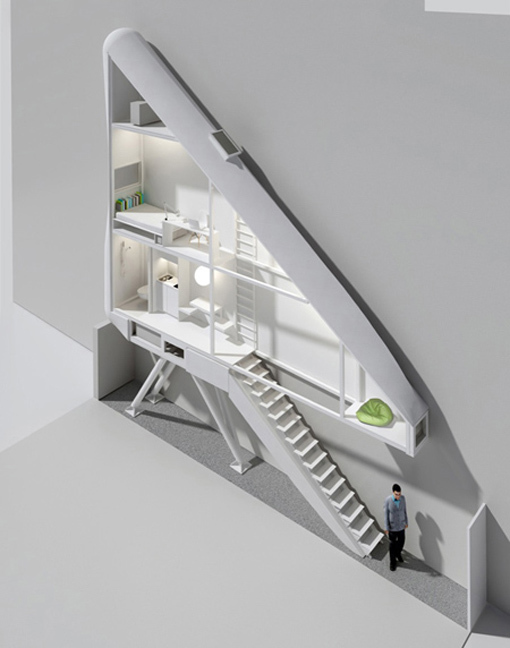 This itty bitty, skinny mini house, designed by Jakub Szczęsny of Centrala, is proposed to be an “art installation” in Warsaw, Poland. (It doesn’t meet Polish building codes – ha – no kidding!) 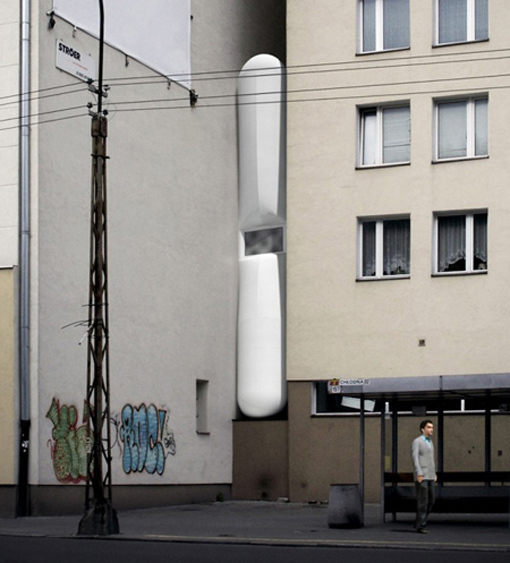 Designed to fit in between two buildings, it certainly challenges the typical living space, being only 4 feet across at its widest point! Yikes! I’m guessing if you don’t already suffer from claustrophobia, you might just develop a healthy case residing here. Inventive, yes. Architectually challenging, indeed. Livable? Not in my opinion, at least not long term. What do you think? To read more about this design go here.